ANN ARBOR, Mich., March 28, 2017 /PRNewswire-USNewswire/ — Organizers of the Michigan Growth Capital Symposium (MGCS) announced it will hold its evening dinner reception at “The Big House,” the University of Michigan’s historic and beloved football stadium. The Symposium has long been regarded as the premier, must-attend event for venture capitalists, technology transfer professionals, founders, CEOs and the best of the Midwest early stage and emerging, high-growth companies that are seeking institutional investment. This year marks the first year that the event will be held jointly with the Coulter Investment Forum to provide access to two premier venture capital investment events at the same time and will host attendees at a special evening reception at the U-M football stadium. 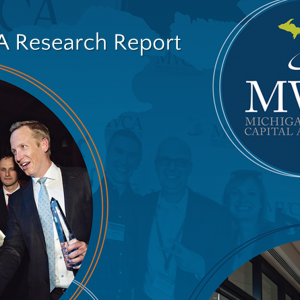 The Michigan Venture Capital Association will be attending MGCS. Stop by our table to celebrate the 10-year anniversary of our MVCA Annual Research Report! The 36th annual MGCS/Coulter Investment Forum is scheduled to take place May 16-17 at the Marriot Resort in Ypsilanti, Mich., with a dinner reception culminating the first day of programming. 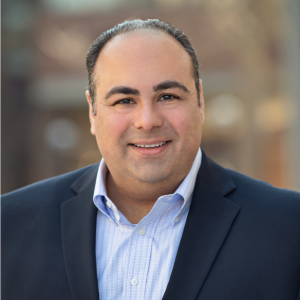 More than 600 investors, founders and tech transfer professionals are expected to attend with nearly 100 investment firms from across the nation represented. In addition to networking, panel discussions, engaging keynote speakers and more than 60 presentations from companies actively seeking funding, MGCS attendees that head to the reception at the football stadium will also have the opportunity for a locker room tour and to play ball on the storied field as well as enjoy dinner from above the field. 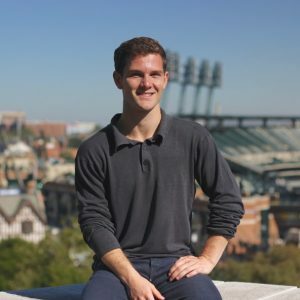 Around the same time MGCS first launched in 1980 and a government initiative in 1986 prompted the creation of Michigan-based venture capital firms, the U-M football stadium started to be known by its beloved moniker, The Big House. MGCS has a 36-year record as the longest-running academic-based program of its kind in the world, falling just shy of the longest undefeated streak at Michigan Stadium, which is 41 games. Since 2001, more than 400 companies have presented at MGCS and raised more than $800M – or nearly 8x the number of blades of grass making up the field at Michigan Stadium at the dedication game in 1927, which was estimated at 106 million.In 2017, MGCS expects attendees from all of the states that are home to Big Ten schools. In 2017, MGCS expects attendees from all of the states that are home to Big Ten schools. For more information on this year’s event, to become a sponsor or to register, please visit http://www.michigangcs.com/.